The couple got married at the beautiful Primrose Court at the Wynn Resort on the Las Vegas Strip. The Wynn, like most of the Strip Hotels, doesn't allow to have an outside photographer take pictures of the ceremony, but the rest of the day we could capture images of the couple and their guests. 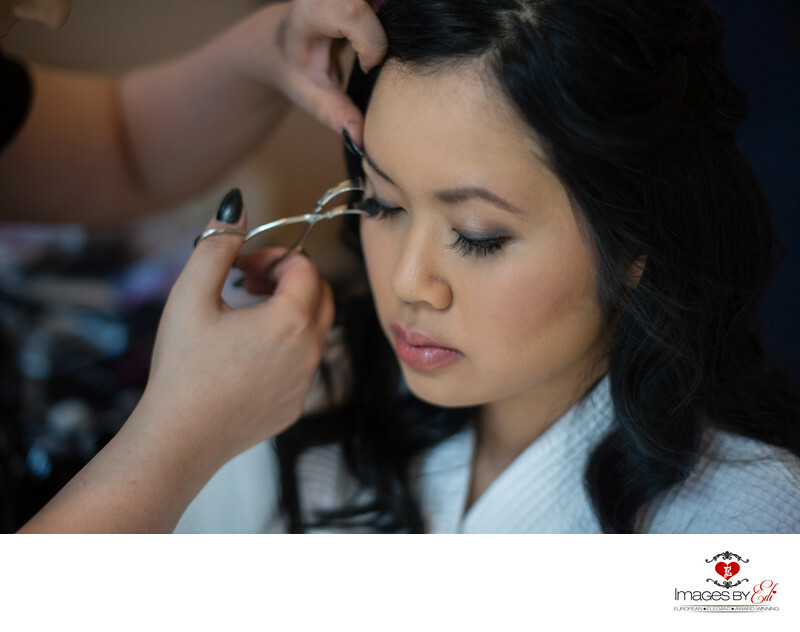 We started out in the hotel suite with pictures of the finishing touches of the brides hair and make up. This image was created that time. After their Wynn Hotel ceremony, we jumped into a limousine and headed to the Springs Preserve for pictures. The Spring Preserve allows photography on their beautiful property for donation to the facility. The wedding was in the middle of October and Springs Preserve were having their Halloween party with lots of decorations. The bride worried about the decoration on her pictures a bit, than decided that who knows, maybe 20 years from now she'll just laugh at all the Halloween decorations in the pictures. Other than the decorations, what wasn't that bad, we had to deal with a bit of a wind as well. Though the wind blowing her veil created some playful images. After the photo session the limousine dropped us off at Maggiano's for the reception. Location: Wynn Las Vegas, 3131 S Las Vegas Blvd, Las Vegas, NV 89109.